Accra, Ghana – Today, May 20, 2016, the Ghana Institute of Management and Public Administration (GIMPA) and the United States Agency for International Development (USAID) inaugurated the new building of the Young African Leaders Initiative (YALI) Regional Leadership Center West Africa – Accra, on the GIMPA campus. The inauguration was graced by the presence of His Excellency, Vice President Amissah-Arthur; Ms. Linda Etim, USAID Assistant Administrator for Africa; U.S. Ambassador Robert P. Jackson; Professor Franklyn Achampong Manu, Rector of GIMPA; and other dignitaries. Regional Leadership Centers are an extension of YALI, U.S. President Barack Obama’s signature effort to invest in the next generation of African leaders. The Accra Center seeks to empower young men and women between the ages of 18 and 35 from Burkina Faso, Cameroon, the Gambia, Ghana, Ivory Coast, Liberia, Nigeria, Sierra Leone and Togo, who are ready to build leadership skills and work hard to transform their countries. Since opening on the GIMPA campus in August 2015, the Accra Center has trained more than 300 young West African leaders in the areas of public management, business & entrepreneurship, and civic leadership. The Center offers short-term residential training programs for young leaders, as well as an online training platform. The building is the first phase of a planned multi-story training center funded by USAID and private sector partners. It is equipped with modern state-of-the-art video conferencing facilities and an IT resource center for an enriched digital training experience for Regional Leadership Center participants. Phase II will include expanded training rooms and office space. Through public-private partnerships, including significant support from the MasterCard Foundation, the Accra Center provides leadership training and professional development opportunities with practical and applied learning. Yaoundé – Today, U.S. Government, through the U.S. Agency for International Development (USAID), and Ecobank Cameroon SA announced a new partnership that will mobilize up to U.S. $3.7 million of local financing over eight years for small and medium enterprises (SMEs) and non-governmental organizations (NGOs) working in the health sector in Cameroon. Financing will be made available via loans to health SMEs and NGOs which provide family planning, reproductive health and maternal/child health services or products. Ecobank Cameroon will make more loans available to qualifying borrowers, such as private retail pharmacies, hospitals, clinics, diagnostics laboratories, medical training facilities and other small and medium enterprises in Cameroon for working capital and investment needs. USAID will provide technical assistance to those borrowers to improve their business operations and loan management capacity. “This unique partnership demonstrates the commitment of Ecobank Cameroon to make a significant contribution to support the private health sector in Cameroon, and increase the image of the bank as a strong partner for a sustainable growth,” said Gwendoline Abunaw, Deputy Managing Director of Ecobank Cameroon. IN WHAT IS THE FIRST ROLL-OUT OF ITS N500B SOCIAL INVESTMENT PROGRAMMES, the Buhari presidency will start taking applications online for positions in the 500,000 direct teacher jobs scheme, through an internet portal namednpower.gov.ng. Besides their monthly take home pay estimated at about N23,000, the selected 500,000 graduates will also get computer devices that will contain information necessary for their specific engagement, as well as information for their continuous training and development. They get to keep the devices even after exiting from the program. The other schemes in the Buhari presidency Social Investment Programmes which would soon be rolled out in the coming weeks. These include the Conditional Cash Transfer that pays N5000 monthly to one million Nigerians, the Micro-Credit Scheme for more than 1.5 million Nigerians, the Home Grown School Feeding programme that will serve 5.5 million Nigerian pupils in primary school a free hot meal per day this year and the Education support grant programme for 100,000 tertiary students in Science Technology Engineering & Mathematics, STEM and education. 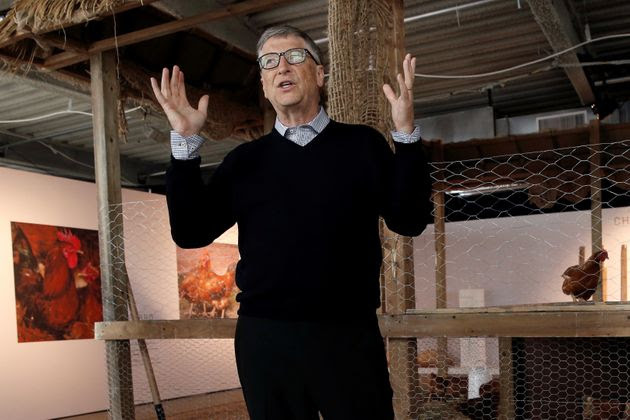 NEW YORK — From the top of the World Trade Center and with dozens of chickens squawking in the background, Bill Gates announced his foundation’s new initiative to help provide 100,000 chickens to families living in extreme poverty. Gates will distribute the chickens to people living on less than $2 a day in a range of countries, focusing particularly on West Africa. 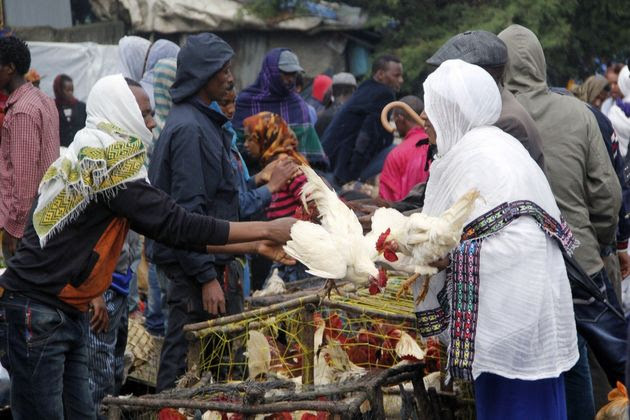 The idea is that the relatively small gift of a flock of chickens can gradually turn into a major resource for a poor family. Part of the initiative involves a partnership with nonprofit Heifer International, in which donors can take actions such as reading an article, watching a video and then answering a quiz. After completing all of the stages, the foundation will give a flock of chickens to a family in need on the participant’s behalf. 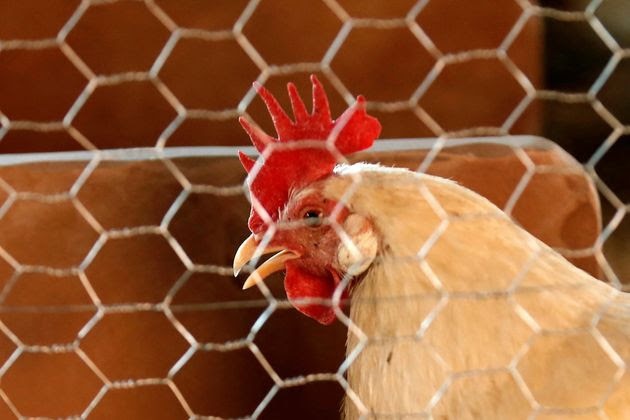 The “chicken math” is simple, according to the Gates Foundation: If a farmer begins with five hens and a rooster, after three months they can produce 40 chicks, and at a price of $5 per chicken, which is typical in West Africa, that can amount to more than $1,000 a year. With the extreme-poverty line at about $700 a year, it’s a fair proposition. Gates compared the initiative to the old parable about teaching a man to fish — but in this case, the fish is a chicken, and instead of a man, it should really be about teaching a woman. New York – International organisations can leverage the power of innovation to better address some of the world’s most challenging development problems, according to a new report launched today by the United Nations Development Programme (UNDP) Innovation Facility. At today’s launch of the report, 2015 Year in Review: Innovation for 2030, the Facility shared examples of how emerging technologies and new approaches can help to make development more impactful, citing examples from Burkina Faso, Egypt, Croatia, China, and the Maldives. The new report illustrates 62 new initiatives that tested or scaled new ways to eradicate poverty, protect the planet, prevent conflict, manage the risk of climate change and natural hazards and advance gender equality. The large majority of these countries are crisis-affected, least-developed, landlocked or small island developing states. UNDP has established 13 innovation labs; six co-hosted with the Government and seven hosted by UNDP in partnership with the private sector or academia. The government innovation labs serve as effective means to include citizens in open policy-making and re-designing public services. For example, the analysis of untapped data from satellite images, electricity consumption patterns and cell-phone use can furnish national partners in Sudan, Kosovo* or FYR Macedonia with cost effective new means of measuring poverty or the size of the informal economy, gauge transparency, and abate disaster risk. Applying the emerging field of behavioral insights can improve policy formulation and testing, such as around tax compliance in Belarus and Moldova. To solicit new ideas, methods and designs from citizens, UNDP launched challenge prizes with partners, covering countries such as Sudan, Yemen, Malawi, Afghanistan, Pakistan, Myanmar and Nepal and is now providing support to the winners to further develop their innovations and provide solutions to development problems. UNDP’s work on innovation happens in partnership with the private sector, with academia as well as innovation hubs, start-ups and social entrepreneurs. These initiatives are designed to support the achievement of the Sustainable Development Goals, particularly of goals related to gender equality, economic growth and peaceful societies. The UNDP Innovation Facility was launched in 2014 with the support of the Government of Denmark. It supports UNDP offices and partners in testing new ways to solve development problems, provides funding for experiments and scaling and shapes a new norm within the organization to change business as usual.